If you want to use an alternative process to traditional chrome plating, you have likely heard about powder coating as one option. 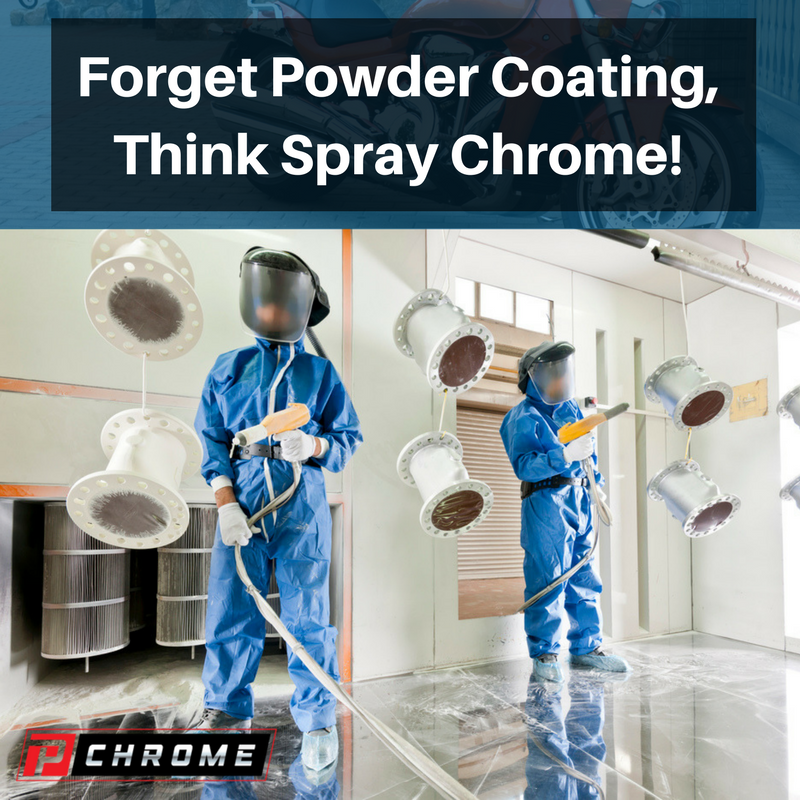 There are several reasons why you should instead choose PChrome spray chrome over powder coating. PChrome chrome spray offers multiple advantages over both powder coating and chrome plating. When you powder coat your object, you apply a powder all over it electrostatically. The object is then baked in an industrial oven. The baking process turns the powder into a highly durable layer of paint that is resistant to scratches and chipping. Powder coating can be used for a broad variety of finishes and colors, including those that look like chrome. Powder coating has a couple of primary disadvantages. First, you will either need to already have or to purchase an electrostatic gun. You will also need to have an industrial oven in your shop, or you will need to send off your parts elsewhere to be powder-coated. Another disadvantage is that powder coating can only be used on metal surfaces. The high temperatures involved in the baking process will melt other substances. Powder coats will not have the same appearance as traditional chrome, and they are difficult to apply in thin layers. This means that you may be limited to having very thick coats and a less lustrous shine. PChrome spray chrome can be applied to nearly any type of surface, including wood, glass, metal, canvas, rock and others. Unlike powder coating, the kits do not require you to have any expensive equipment on hand or to make investments in hew equipment. You will also not have to have an industrial oven, and you can perform your spray chroming processes in your shop. This means that you will never have to send your parts away, which can greatly reduce your turnaround time. PChrome spray chrome also provides the same shine and look as traditional chrome plating but at a fraction of the cost. Both powder coating and PChrome spray are better for the environment than chrome plating is, but PChrome’s benefits simply are greater than those offered by powder coating. 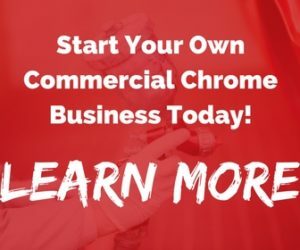 When you choose PChrome chrome spray, you will be able to chrome nearly any project that you desire. You will be able to enjoy very fast turnaround times and to get the beautiful finishes that you want. 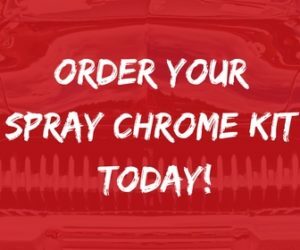 Call PChrome today or click here and go to our shopping cart to order you spray chrome kit.